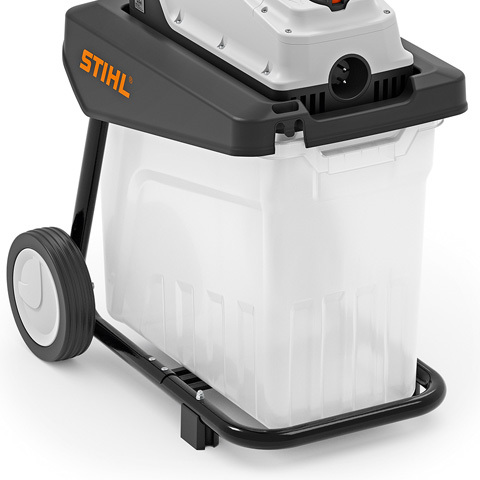 The STIHL electric shredder GHE 135 L works particularly quietly. It is suitable for occasional shredding and medium quantities of clippings. The cutting roller of the garden shredder is optimised for tree and hedge cuttings with a maximum branch thickness of 35 mm. It is driven by a powerful motor. A cloverleaf opening permits easy feeding of branches and twigs. The low-noise roller shredder is easy to transport. 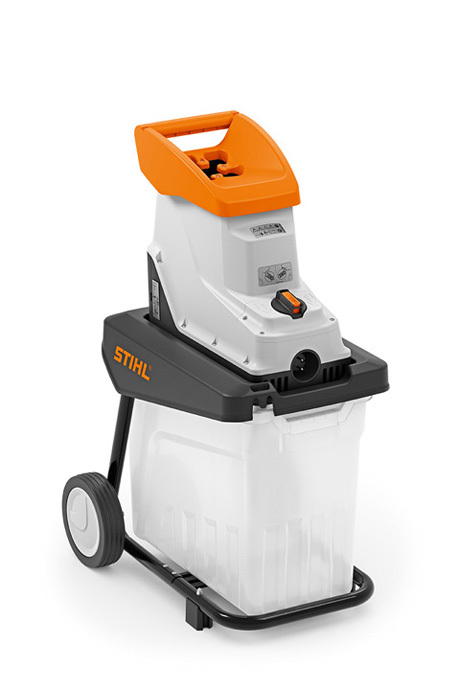 The crushing device on the STIHL electric shredder is equipped with a robust, low-speed blade roller. The roller draws in branches and twigs at only 40 revolutions per minute while operating smoothly and silently. Should any branches become stuck, the automatic reverse function conveniently dislodges the offending clippings. The transparent shredder bag is built into this silent electric shredder. It can hold up to 60 litres of clippings and has recessed grips for practical handling. 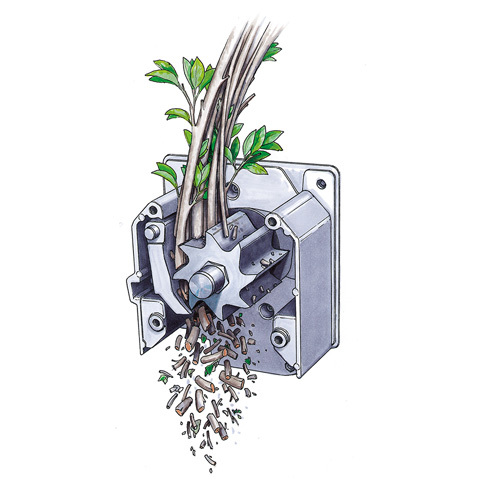 For your safety, the STIHL garden shredder can only be operated when the catcher box is inserted correctly. 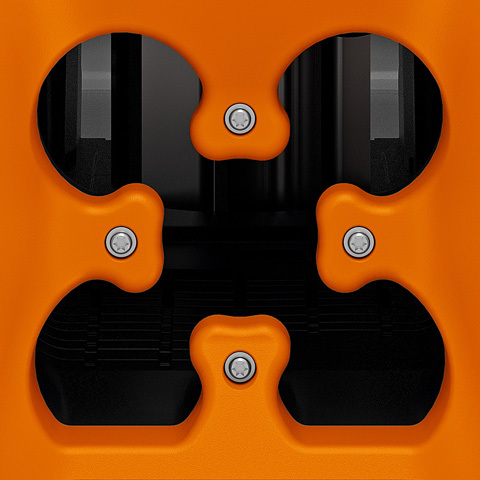 The cloverleaf opening in the feed chute makes it easier to feed branch material into the STIHL garden shredder and ensures maximum operating safety. Even branch material with side shoots and twigs can be fed easily into the wide opening and shredded efficiently. Soft clippings can be inserted through the adjacent rectangular opening on the garden shredder.